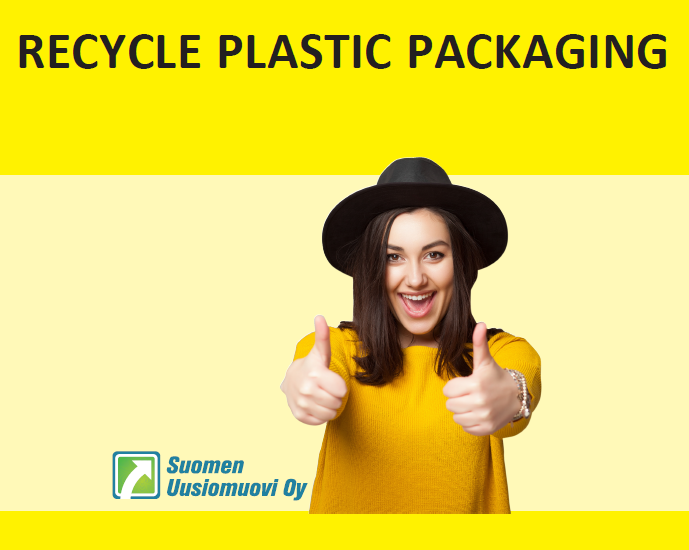 Since 1.1.2016 households have had the possibility to recycle their plastic packaging. Closures,pumps, caps and similar parts of the packaging shall be removed and put separately in the collection. Packaging of different plastics shall not be put tightly within each other. The automatic sorter is reading the outer packaging only. Packaging containing dangerous substances belongs to the collection system arranged by municipals. For ex. cans earlier containing oil cannot be allowed in the collection of household packaging. The bring stations can be found for example at large shopping centers. During fall 2017 many of your partners are starting to collect household packaging at larger housing complexes.